Keep the floors of commercial areas clean with a powerful and attractive entrance mat like the Andersen WaterHog Grand Classic with two ends. 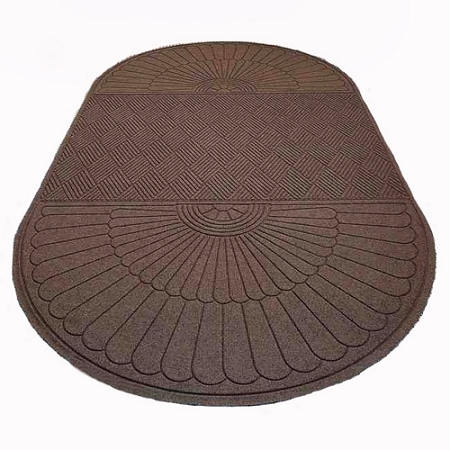 Double-sided, you can use this floor matting to cover the inside and outside of doorways. Designed to trap dirt, and store it beneath shoe level until cleaning, the Water Hog Grand Classic is great for keeping offices, restaurants, and rooms with electronic equipment free of debris and moisture. Reinforced rubber nubs keep the Water Hog matting from breaking down in high-traffic areas, maintaining its high performance. The polypropylene fiber system is solution dyed for resistance to light and fading. 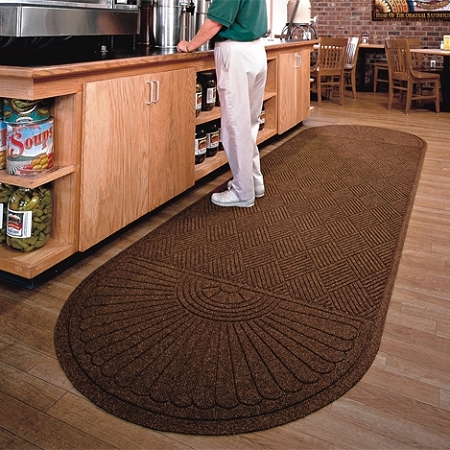 In addition, the Andersen Grand Classic fiber entrance mat dries quickly, won’t rot, and is easy to clean daily.